Royal Enfield will announce the price of the much-awaited Interceptor and the Continental GT tomorrow. 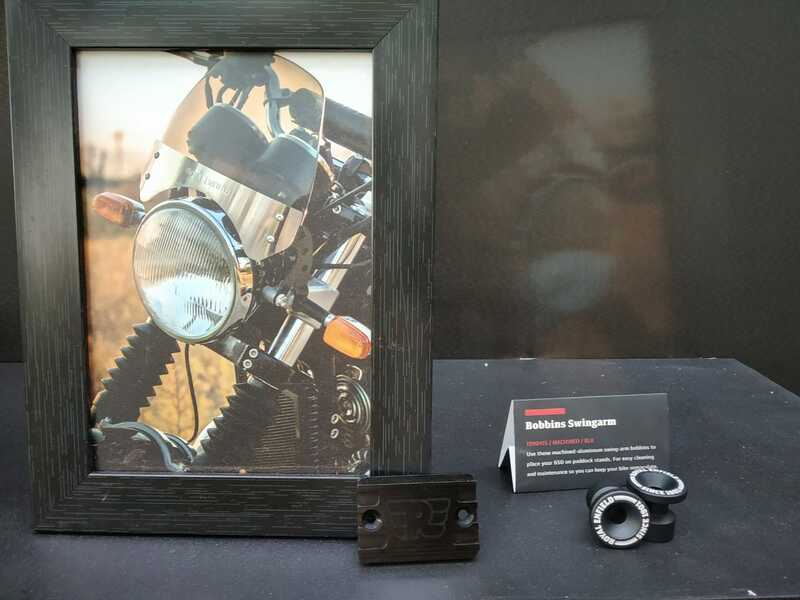 As always, Royal Enfield will offer a range of accessories with both the upcoming bikes. There are quite a few modified examples of the upcoming Interceptor and the Continental GT around the world. But if you want to customise your bike with official accessories, here is a list that shows all of them. 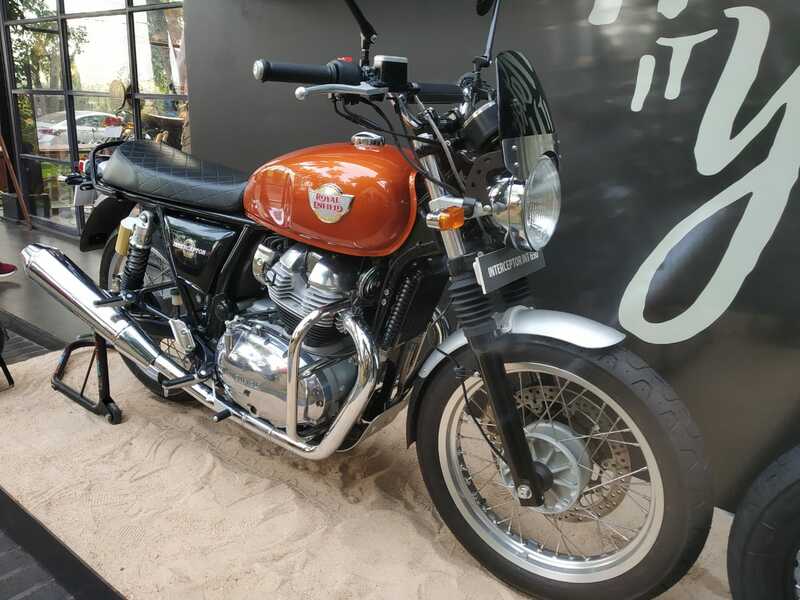 Royal Enfield Continental GT 650 would come with a twin-seat from the factory. Unlike the Continental GT 535 version, the GT will not get a single-seat version. 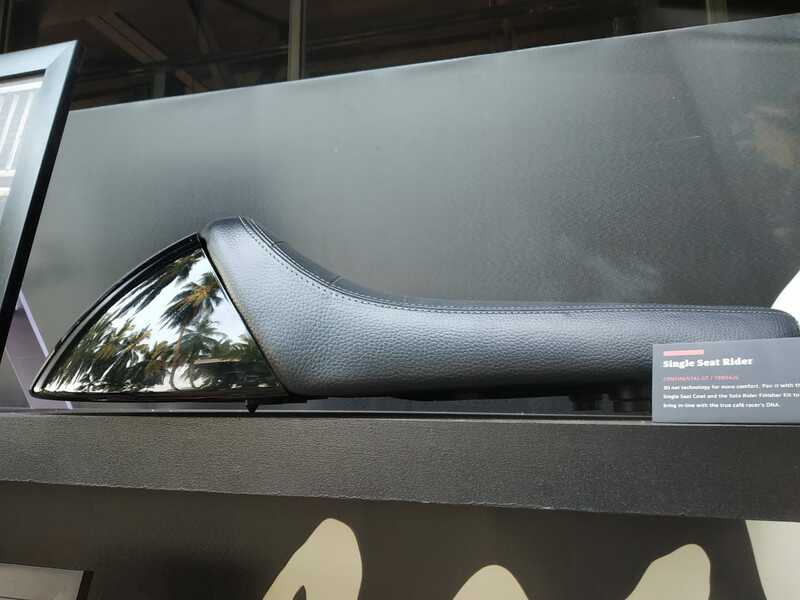 However, if the customers want the single-seat look back on the Continental GT 650, they can opt for the single-seat conversion kit. There is no such option for the Interceptor though. 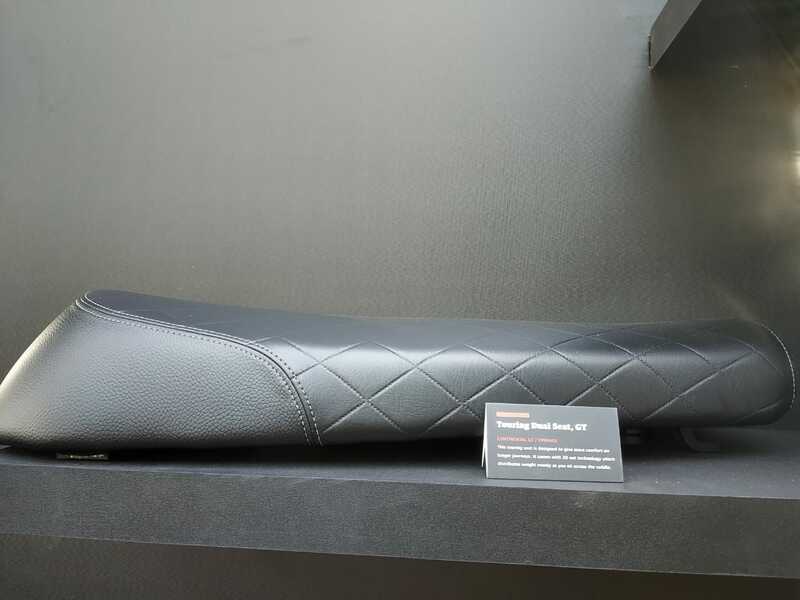 The Royal Enfield Continental GT will also get a touring seat conversion that gets diamond-stitched leather cover. It is specially made for long-distance tours and has been made for the comfort of the rider. The touring is also available only for the GT version. To get the cruiser or cafe racer looks from the early 90s, Royal Enfield is offering a mirror kit for the Interceptor. 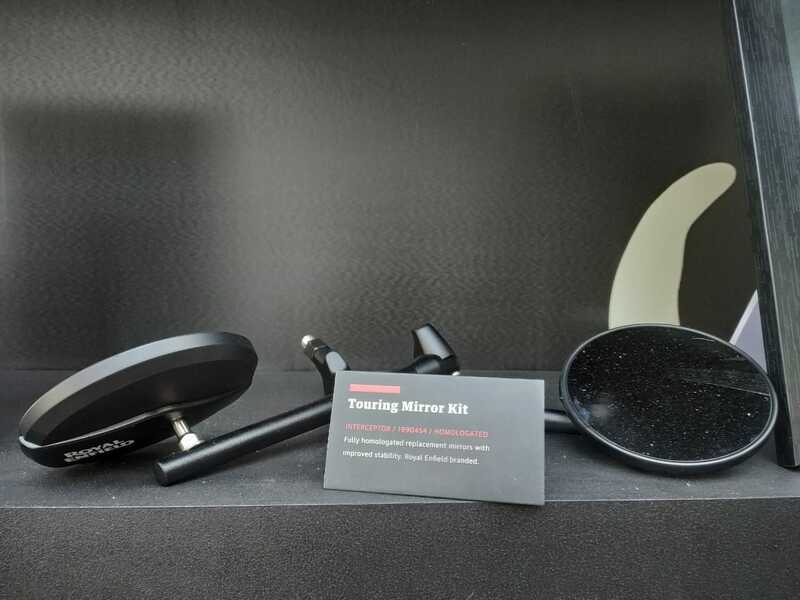 They are positioned at the end of the handlebar and offers greater stability, giving a better mirror reflection. The touring mirrors are only available for the Royal Enfield Interceptor. 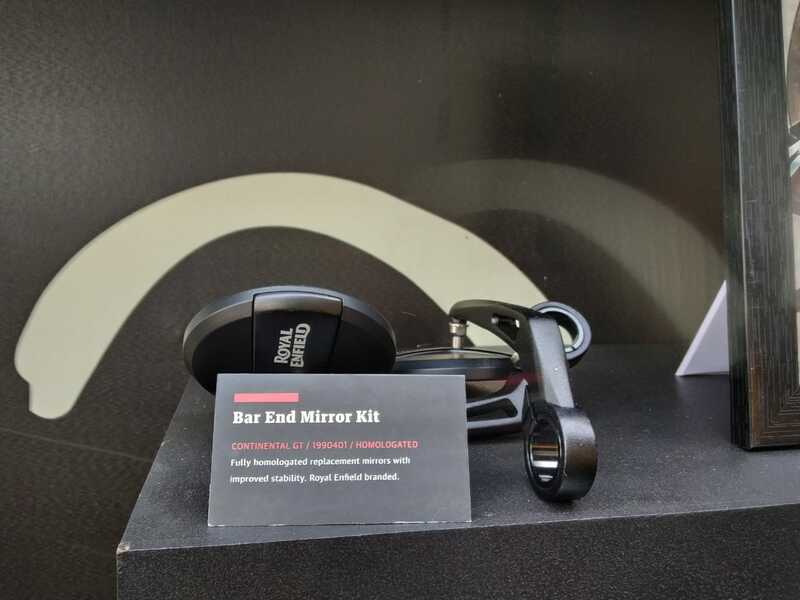 The touring mirrors have a short length, which makes them more stable on the handlebar. Being more stable, they do not vibrate much and ensures easy look on the back while riding at high speeds on the highway. 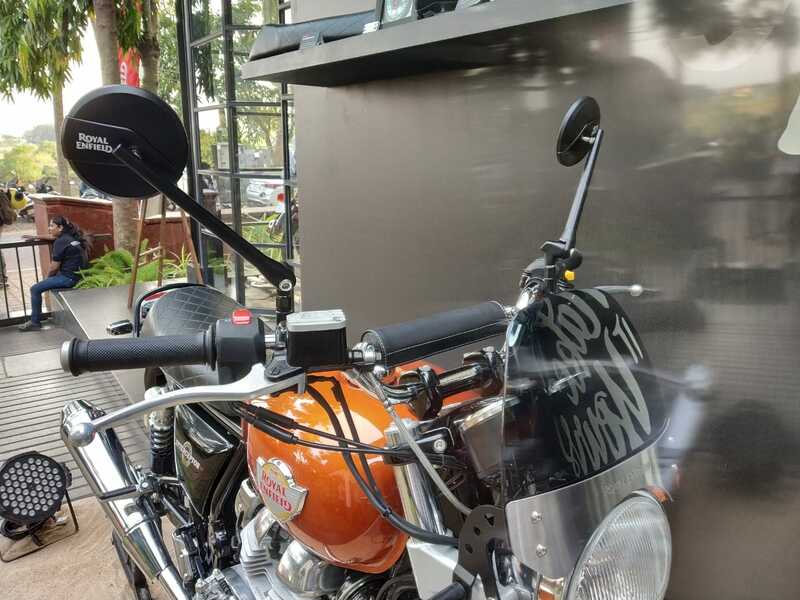 Both the bikes have been designed for long-distance touring and to ensure that the bikers get minimal wind resistance on the straight highways, Royal Enfield is offering small visors that can be fitted on the top of the headlamp of both the bikes. The Royal Enfield Interceptor gets an option to get upgraded to touring handlebars. Such handlebars are positioned high and provide a very relaxed riding position. They also get a column in the middle that makes them more stable and makes them vibrate lesser. 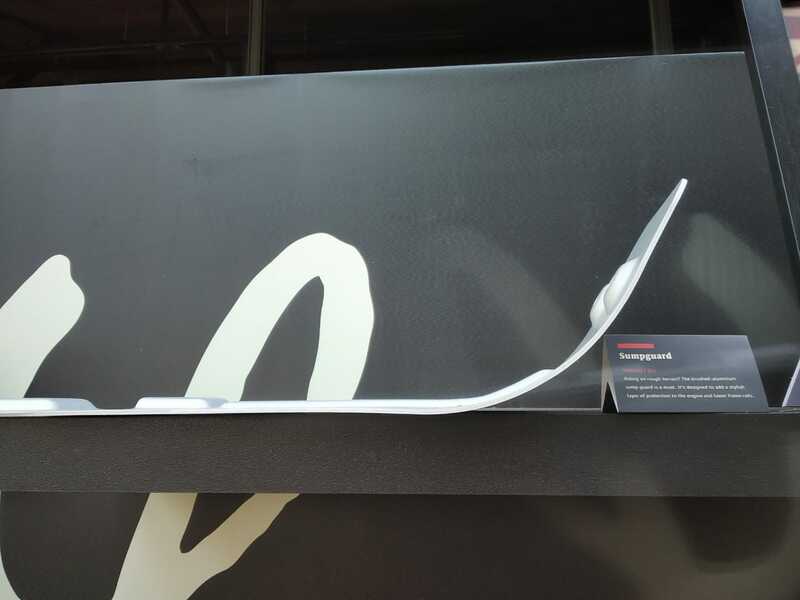 Both the upcoming bikes do not get a centre stand. However, a paddock can be bought as an official accessory which will make servicing the bike much easier. 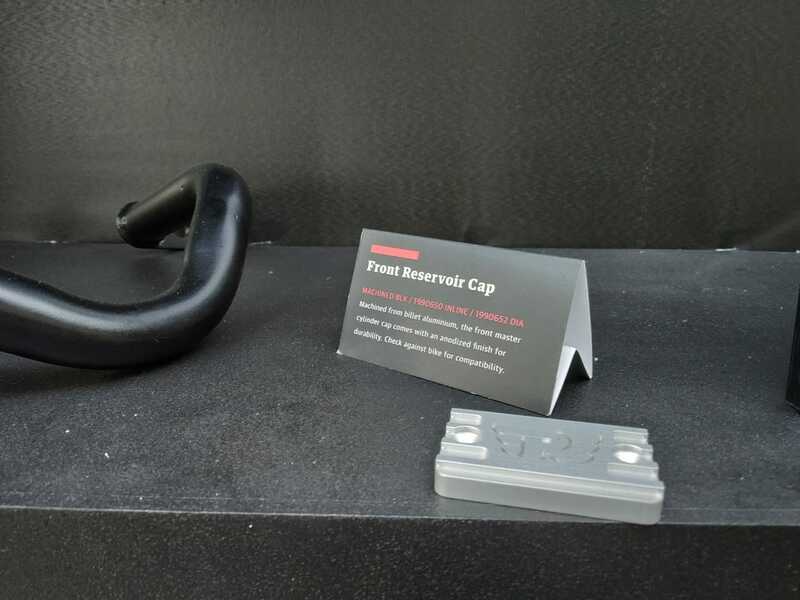 Royal Enfield is also offering Bobbins Swingarm that ensures that the bike stays in place when placed on a paddock. This front reservoir cap is for the people who want an authentic vintage look on their bikes. It is available for both Interceptor and the Continental GT. It is made up of a machined alloy the replaces the front cylinder cap. The all-new engines are quite large and can get damaged after a fall. 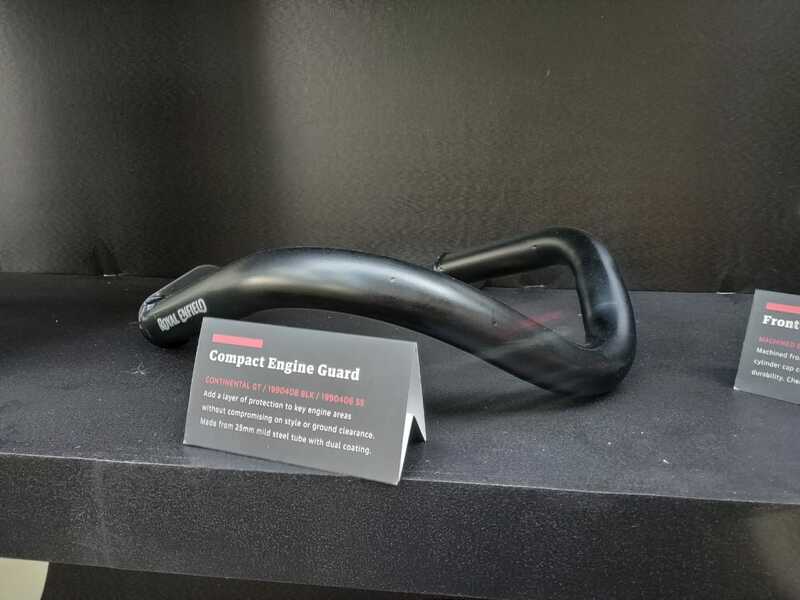 To make sure that it stays safe, Royal Enfield is offering a compact engine guard that fits the swingarm and saves the engine from any kind of fall or hit. The fork gaitor kit adds a vintage look to the front of the bike. It fits on the naked part of the fork and brings back the vintage Royal Enfield look to the bike. As both the bikes are designed as classic bikes, this kit will surely lift the look of the bike. This engine sump guard is for the people who want to take their bikes on the unknown places. 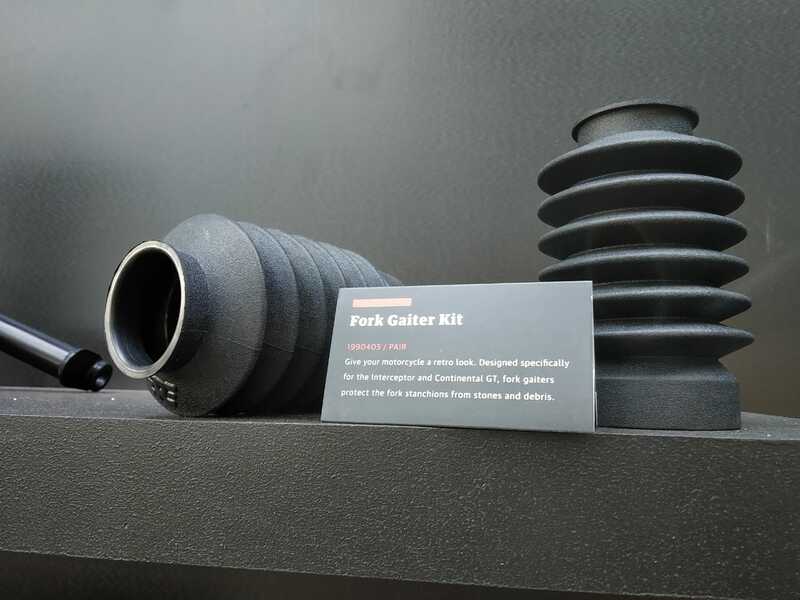 The sump guard ensures that the engine sump stays safe even after hits from big rocks. This can be a life-saver at secluded locations.